Everton Football Club and its official charity, Everton in the Community, has launched a new mental health focused campaign to raise funds to build a permanent facility – called ‘The People’s Place’ – in the shadows of Goodison Park. 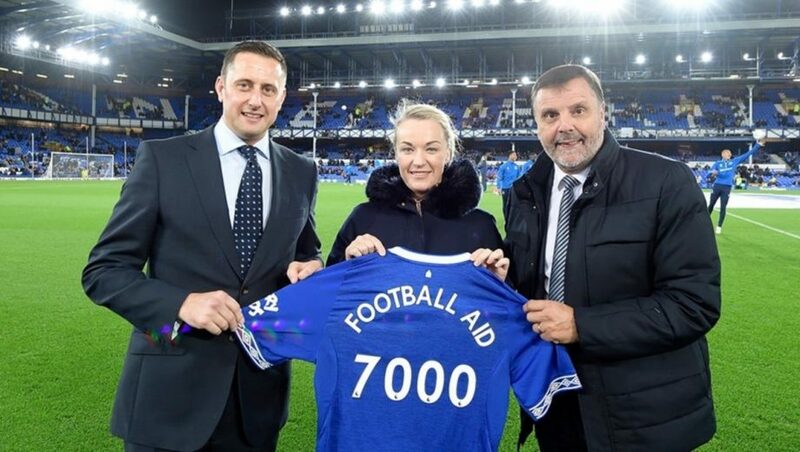 ‘The People’s Place’ campaign has the backing and support of Everton CEO, Professor Denise Barrett-Baxendale, first-team manager Marco Silva and the first-team squad. Through a long-term fundraising drive – due to start early in the new 2018/19 season – Everton in the Community aims to develop, build and maintain a new purpose-built facility that will become a delivery site for programmes and enable signposting to other services. 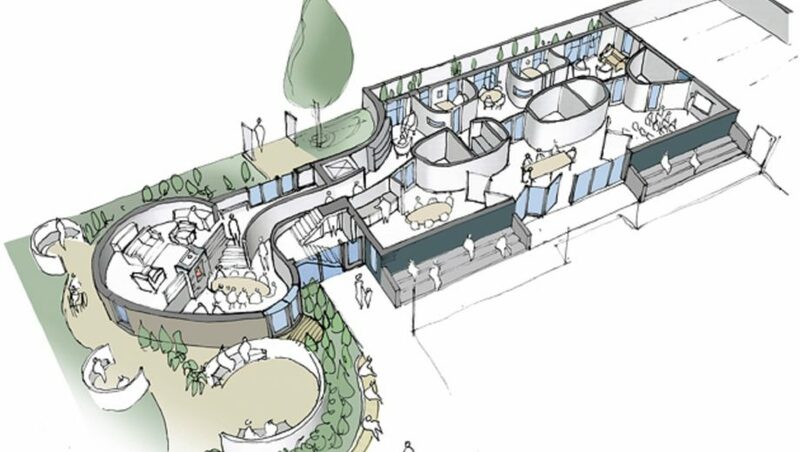 The new mental health facility, subject to planning permission, will be positioned within the Goodison campus adjacent to the £1.2million People’s Hub on Spellow Lane – just 500 metres from Goodison Park. Everton in the Community has been delivering award winning, life-changing and life-saving mental health provision across Merseyside for more than 10 years, supporting more than 5,000 individuals with bespoke programmes for those in need. 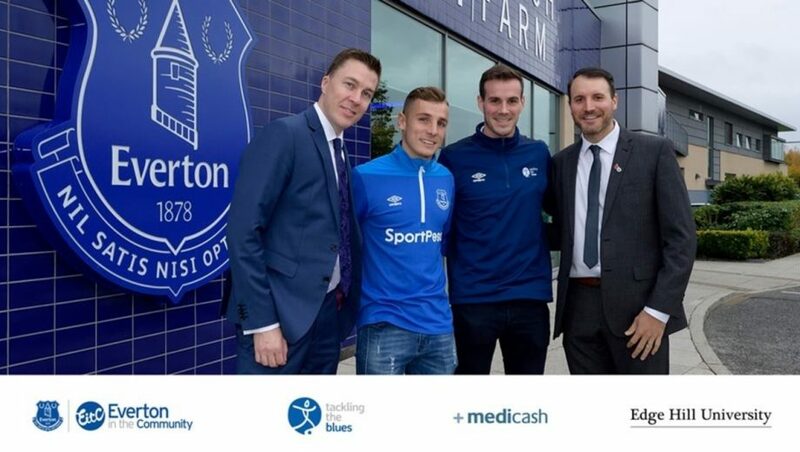 The campaign will see Everton working alongside national mental health charity Chasing the Stigma at a time when the number of people seeking support for mental health related issues is at an all-time high. The charities will work together to promote positive mental health and ending the stigma and discrimination surrounding it. ‘The People’s Place’ will provide an overarching service to anyone, regardless of age, gender or location, to promote positive mental health and support relating to suicide awareness and prevention. The range of the mental health services available will offer clear pathways into Everton in the Community’s programmes and external support all tailored to the individual. 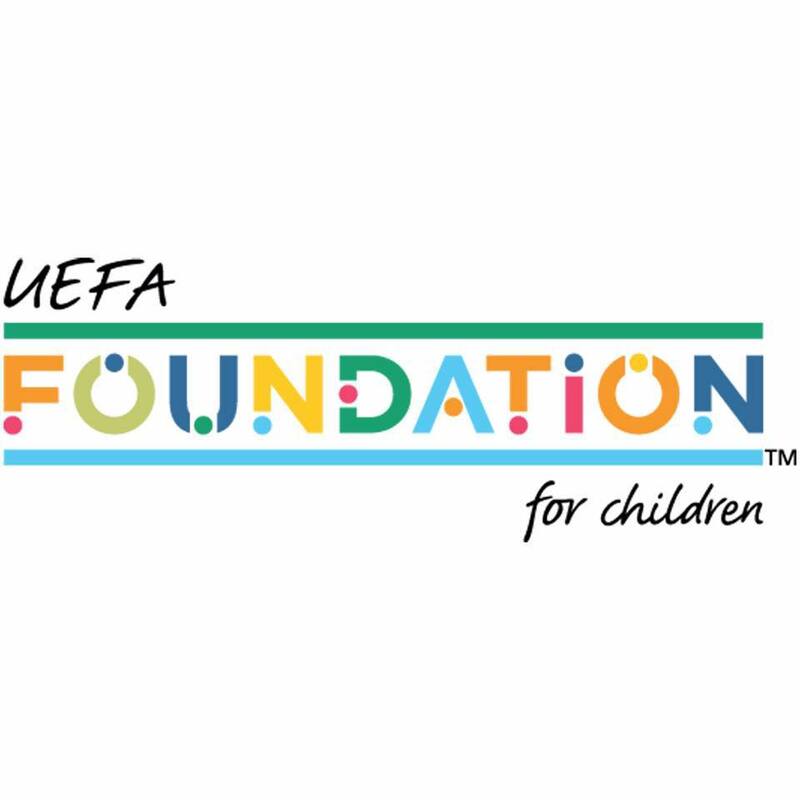 Everton in the Community’s existing long-running mental health-focused programmes and services will continue to be delivered and developed during the fundraising campaign. A community consultation will take place to ensure that the new building meets the extensive needs and requirements of the local community and brings a significant impact to people’s lives through a diverse range of activities and services. This training will be delivered in partnership with Liverpool headquartered mental health charity, Chasing the Stigma, which will be launching the ‘Ambassadors of Hope’ training programme with Everton later this month. Formed by Evertonian Jake Mills in 2016, Chasing the Stigma aims to remove unnecessary stigmas attached to mental illness by using first-hand experiences to disarm and normalise the topic and change the way society approaches mental illness. 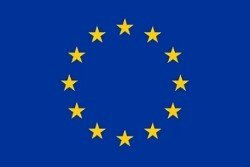 The campaign will also be supported by Everton in the Community’s academic research partner, Edge Hill University. Everyone has mental health in the same way that everyone has physical health and one in four people experience poor mental health each year whilst suicide kills 150 people across Merseyside a year. Mental illness and suicide are significant public health challenges which are more common in more significantly deprived inner-city areas such as L4 where almost the entire ward of Everton falls into the most deprived five per cent of neighbourhoods nationally. Everton CEO, Professor Denise Barrett-Baxendale, said: “Everton in the Community’s award-winning mental health provision is regularly recognised on an international and national stage, yet we recognise the major need in our community – and beyond – to further develop, enhance and evolve our current provision. Mental illnesses, unlike physical injuries, are invisible to everyone but to those experiencing them. Their reality is no different and no less painful. Many people suffer in silence, unaware that helpful and supportive treatments are available. Our new facility will work to encourage people to talk more freely and will operate an open-door policy to anyone needing to talk.